Pelussin is a small town in the Parc naturel regional de Pilat in the Loire department of the Rhone Alps, 27 kilometres from Vienne and 55 kilometres from Lyon. 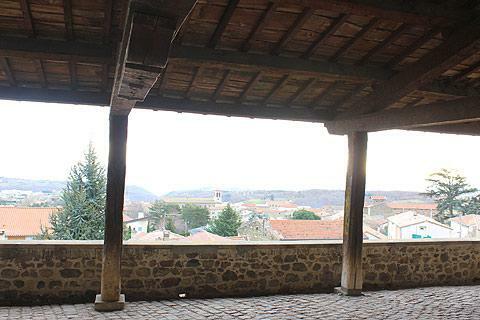 The town of Pelussin is quite spread out and there are three distinct sections to visit. Start a visit in the Quartier des Croix, the main commercial centre of the town with shops spread out around a large main square called the Place des Croix. The square is lined with London Plane trees and has a stone cross at one end and a 19th century church at the other. 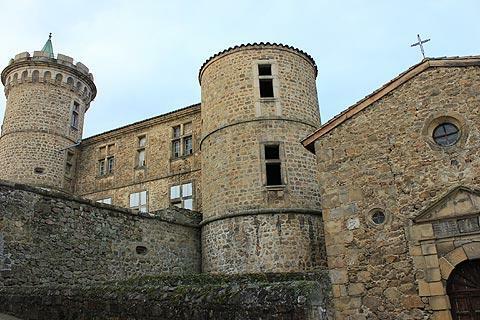 The tourist office of Pelussin is in the Quartier de Virieu and is also the tourist office for this part of the Pilat Natural Park - known locally as the Pilat Rhodanien. From here you can walk uphill towards the Quartier de Virieu, the most interesting section of Pelussin. 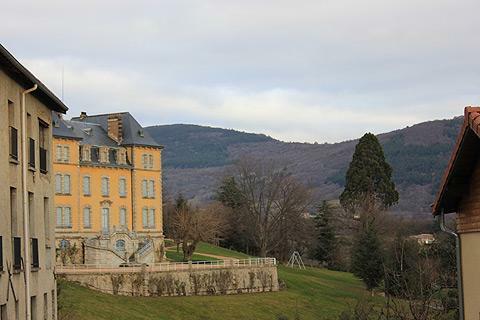 Here you can see the Chateau de Virieu, which started life as the 'Villa de Virius' and was transformed into a chateau in the Middle Ages. In the early 14th century a chapel was attached to the building. The ensemble is very attractive, there is even a large pool of water next to the castle and a pleasant grassy area. 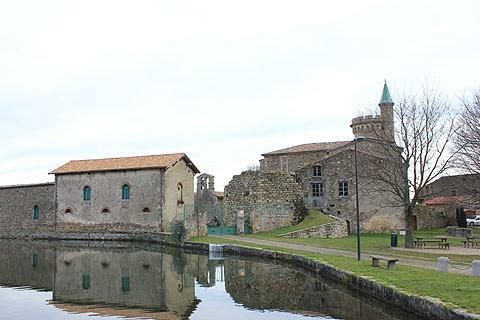 The pool of water is filled by a stream and not only served as the water supply for the castle but was important for the developing silk industry in Pelussin in the 16th century. Just below the castle is the ancient halle which originally served to shelter the silk as it dried. The silk was hung from the woodwork and the floor of the hall has a slope to allow the water to run away from it. 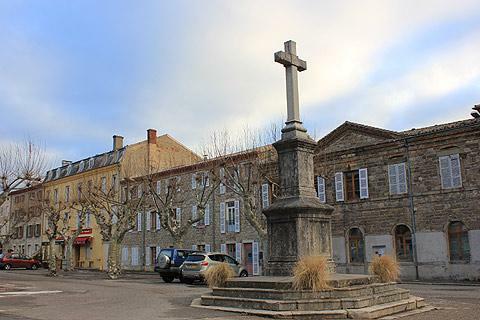 The third quarter in Pelussin is the Quartier Notre-Dame and here you can see the Mairie and the church of Notre-Dame. Why two churches in Pelussin? The Church of Notre Dame was the original church of the town and when in the 19th century it was proposed to build a new church between the Quartier Notre Dame and the Quartier de Virieu there was an outcry. The parishioners of Notre Dame took their bell and hid it in a well and threatened to all turn Protestant and bring in a new vicar if they continued to try and close their church. Eventually resolution was reached by splitting Pelussin into two parishes each with their own priest. 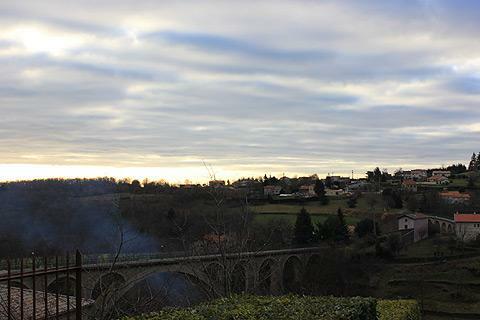 Below the village of Pelussin are its viaducts, built in 1917 to extend the railway line. Some say the viaducts were built by German prisoners of war whilst others say there were only two prisoners of war working on the viaducts. Pelussin is well known for its cheese, the Pavé d'Affinois: be sure to try it while you are here. 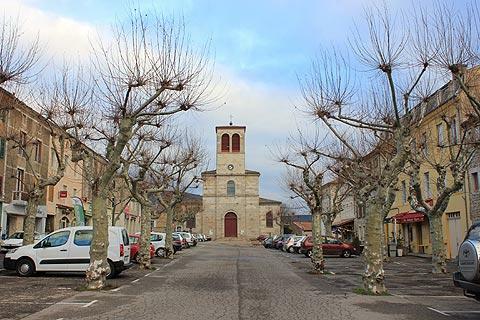 The beautiful village of Malleval is just a short and scenic drive away, and the natural scenery of the Parc Naturel Regional de Pilat is well worth exploring.